Nokia 5.1 Plus price in Pakistan is still a hidden mystery for the consumers of this region, as none of Nokia officials have announced its price for its consumers in this region. Though, an expected price of this phone is Rs.29,999. It is expected to be a midrange smartphone which will be equipped with innovative features and specs. 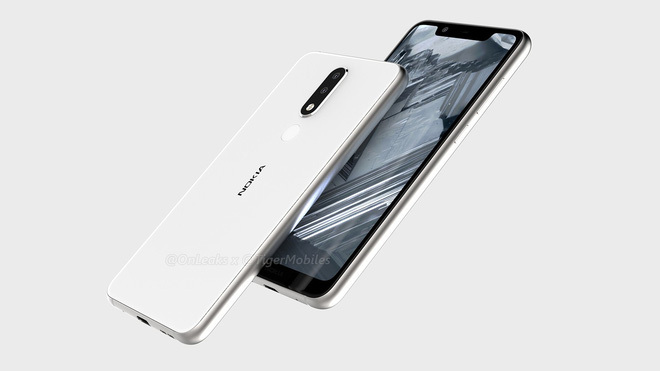 Nokia 5.1 Plus price is expected to be reasonable as compared to upcoming Huawei mobiles, Samsung mobiles, Oppo mobiles and many more with similar features and specs. Nokia 5.1 Plus release date in Pakistan is yet to be disclosed by the Nokia officials, but according to the rumors in the smartphone industry it is expected to be released in July 2018. Nokia 5.1 Plus will be featuring a 5.86-inch screen size with a resolution of 720x1520 pixels, which will surely enhance the viewing experience on almost everything for the users. Under the hood, you will see a 2.0 GHz Octa-core processor which is coupled with 3GB of RAM. This phone will be coming with 32GB of internal storage, which can also be expanded up to 128GB via microSD card. It will be running on the latest Android operating system Oreo v8.1, which will help this phone to perform all sorts of multitasking in an effortless manner. The connectivity options which will be seen in this phone include 3G/4G, Wi-Fi, Bluetooth, and GPS. Nokia 5.1 Plus camera are also going to be impressive as it will be featuring a dual 13MP rear camera with autofocus and LED flash, whereas at the front you will see an 8MP front selfie shooter. Both the cameras are spectacular and have the ability to shoot and record in high definition quality. It is going to be a lightweight smartphone by Nokia. It will be powered with 3000mAh battery, which will give it a standby time of 13hrs depending on the usage of the users.